When you decide to proceed with surgery following your initial consultation, a complementary preoperative visit will be scheduled with Dr. Mayfield in our West Chester office. Unless you are travelling long distance, this visit is typically planned ten days to two weeks prior to your procedure. Dr. Mayfield recommends that your spouse or other loved one accompany you so they can also meet him and have their questions and concerns addressed as well. 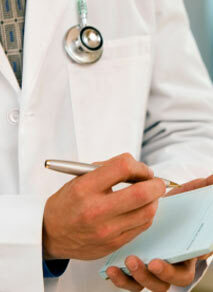 review your medical history to confirm that it is accurate and that you are in good health. Being in good health greatly reduces the risk of complications during and after surgery, and can contribute to a faster and uneventful recovery. discuss your goals and the surgical plan thoroughly, including the preoperative and postoperative instructions and what you should expect as you recuperate. Every detail is discussed so that you are well informed and there are no surprises - all of which helps to make you less anxious both before, and after, your surgery. discuss the surgical consent document that outlines the potential risks and complications, as well as the benefits of your surgery. take preoperative photographs that will be kept as a permanent and confidential part of your medical record. These photographs assist Dr. Mayfield in surgical planning and provide an accurate record to compare with your postoperative progress. provide you with your prescriptions so that they may be filled at your convenience prior to the day of surgery. That way you will have any medications that should be taken before surgery, and your pain medications will be waiting for you at home after surgery.